A twilight alternate ending. In this version, Bree Tanner never got killed by the Volturi. In fact, she never even got caught by and willingly surrendered to Carlisle. 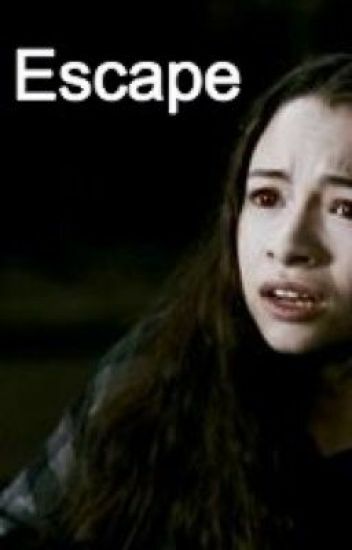 She escaped before all that. But now they are tracking her. This is what happened. I jump out of an aeroplane. Alternate ending - Alice's vision. Is Renesmee's twin sister, Elizabeth in the background? Is she a blood singer or a mate to one of the volturi -guard member? Does she have a power? If so is more powerful than Renesmee? Is she different from her sister? Also in this book Laurent is still alive. She hated that she loved him, after all that he did. All she wanted was him and she was so in love that she didn't want to wish she didn't. Her family didn't get it, nobody did. Some of them pitied her, some thought she was ridiculous. They just didn't understand, sometimes Katherine didn't either. She was hurting, no one could stop it. Well, the one person who could is the one who hurt her in the first place. Not even Jasper could help her now. She couldn't comprehend how he did it. She could barely do it, it took seeing him again to realize what she needed to do. But leaving was the one of the hardest things she had to do. Yet he made her promise do to something that he had done, but not for her. When I hear her say "pain", suddenly a strong pain runs through my body. I scream and fall to the ground. They're just watching. What would have happened if Felix hadn't have killed Bree in Eclipse? Would she live with the Cullens or go on a killing spree? This is the member of the volturi. Nadia is a member of the Polish coven, recruited by Carlisle to fight for his family against a newborn army. On the battlefield, Nadia discovers her mate. Will she choose to go with her mate? Or stay with her companions? Mackenzie Cullen is Renesmee's unknown twin sister. She was placed into the attic by Rosalie, because she wanted the attention to be on Renesmee alone. What if the twin escapes and joins another coven? Bree Tanner has been abandoned by the vampire army, left toy Riley, Diego, Jason and everyone else, and what if Seth finds her? For all of exist stance never has it been thought that a vampire could convince a child infact It was impossible . However one strange night something never known of before in the history of vampires all four of the Cullen ladies become pregnant . There's only one logical explanation; the lunar eclipse . But that's just a myth Isn't it? Join the family over there journey through pregnancy and of course there journey against the voltori . Will the Babies survive? Will the woman? What will the voltouri do? And what will become of The Cullens?